My father is a mechanical engineer with heart and a conscience. It is just those qualities that drew him to Volkswagen’s fabulous turbo-diesel engine. The engineer in him was inspired by the technical competence embodied in its design. His heart was fired by its gutsy performance, and his conscience was quieted by its staggering mileage figures and clean exhaust output. Recent developments at Volkswagen have changed his views. His feelings of awe for the responsible engineers have been displaced by feelings that they had duped him. The engineer in him is justifiably enraged. That intensifies when he is forced to realize that he has been adding pollutants to the atmosphere at the rate of 40 times that of his fellow drivers, all the while thinking he was doing right by the earth. A placard from a VW ad for the TDI engine. The engine did indeed test as clean. The problem was that VW itself did the crucial testing and gamed the system. VW has not just done a disservice to its customers, it has also done a massive disservice to those in our industry who are meticulously working to offer a green service that actually does what it promises to do. It can be challenging to introduce something new into an existing market. It helps to be able to use image-rich words like “green,” and phrases like “environmentally friendly.” We need those words and phrases, and we need them to mean something. By engaging in this naked fraud, VW has not only harmed its own reputation, it has harmed the language that many of us use to steer our markets towards a healthier and more sustainable future. 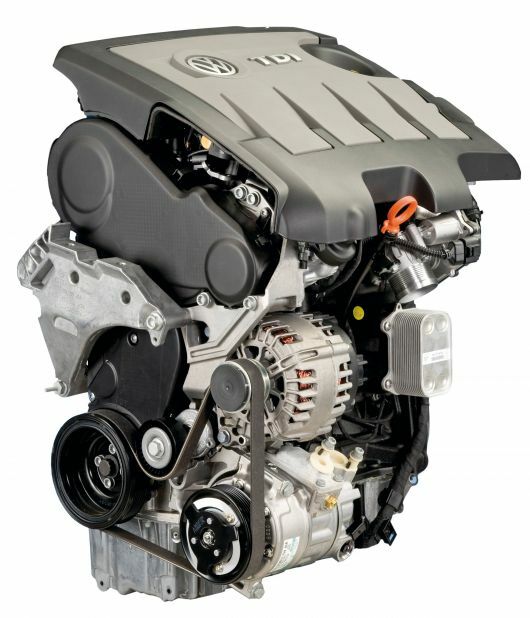 The 2.0 litre turbo diesel engine that lies at the heart of the VW scandal. Vanessa Burbano of the Columbia Business School calls VW’s antics greenwashing—“claiming positive environmental performance when the reality is the opposite.” Some marketing watchdog groups say that 95% of so-called green products make “at least one false or questionable claim,” in a $5.2 trillion global market for green services and goods. Does Burbano see an antidote to this green fraud? In her mind it is all about transparency: companies should have meaningful metrics of environmental performance that can be both explained to customers and verified by them. At Decumanus Green, we sit down with homeowners and develop just such metrics or performance goals for every building project. We do this at the beginning, so that choices in design and materials can be informed by these metrics and goals. We are clear about the goals for each project, and we have an excellent track record of meeting them and showing our clients how we have met them.